Mojitos are the best for brightening up the mood and keeping you hydrated as they contain a pinch of lemon and mint. But remember, you have to intake a mojito enriched with fruits and veggies and free from alcohol in order to prevent the acne. Some of the tasty mojitos you can try are berry mojitos, strawberry mojitos, watermelon mojito, spinach mojitos and pomegranate mojitos. Berry mojito is enriched with raspberry, blueberry, and blackberry and keeps you cool and avoids skin inflammation. 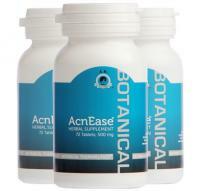 It contains anti-inflammatory enzymes that help in curing acne. Strawberry is a rich source of antioxidants and contains vitamin C which prevents inflammation of the skin. Antioxidants prevent blockage of skin pores. Strawberry mojito is thus useful in treating acne. Watermelon mojito releases nitric oxide in the body which helps in curing acne. Pomegranate mojito is also enriched with antioxidants, so if you prefer pomegranate over strawberry, you can alternatively choose to treat your acne through them. Spinach mojito is rich in vitamin A and chlorophyll. You can add some ginger to your spinach mojito to camouflage the bitter taste of spinach. In addition to these, there are various others summer foods which are both tasty and help you in getting rid of acne in addition to a acne treatment like AcnEase. The smoothies are next in line to improve your acne and make your skin glow in no time. Here is how you can prepare a delectable smoothie for yourself. For a clear skin smoothie, you need unsweetened coconut powder, frozen blueberries, avocados, organic spinach leaves, hemp and Spirulina powder. Blend all on them in the right quantity as per your taste. Here is another glowing skin smoothie: the ingredients include chilled coconut water, strawberries, baby carrots, mango chunks, and one peeled orange. Blend them all and you will receive a tasty smoothie rich in vitamins, antioxidants that work well in helping to treat acne. Next is the berry smoothie that involves blueberries, raspberries, strawberries, kale, yogurt, honey, and water. A mixture of all these is not only healthy for skin but it also tastes heavenly. This smoothie is loaded with antioxidants that keep your skin protected against the harmful rays of the sun while yogurt restores the skin’s elasticity. Take some fresh carrots, wash them thoroughly but don’t peel them as the vitamins and minerals are mostly present near the surface of carrot. Make a juice out of them and drink it over an empty stomach every day. Also, you can choose to mix a drop or two of carrot juice in a tablespoon of sea salt and apply it over the affected area of your face. Rinse the face with warm water after sometime. You can also choose to dab pure carrot juice over your acne to prevent the scars. Tea is an amazing and effective cure of acne along with for your skin, hair, and body. Green tea has low caffeine levels and a house of antioxidant. White tea is the purest of all teas as they are the youngest leaves of the plant. Spearmint tea is best for hormonal imbalances and keeps for skin free from radicals which causes acne. Chamomile tea helps in keeping you cool and calm which is important to heal your skin naturally. Hibiscus tea helps in attaining natural glow as it is enriched in vitamin C, omega 3 fatty acids, and other vitamins. 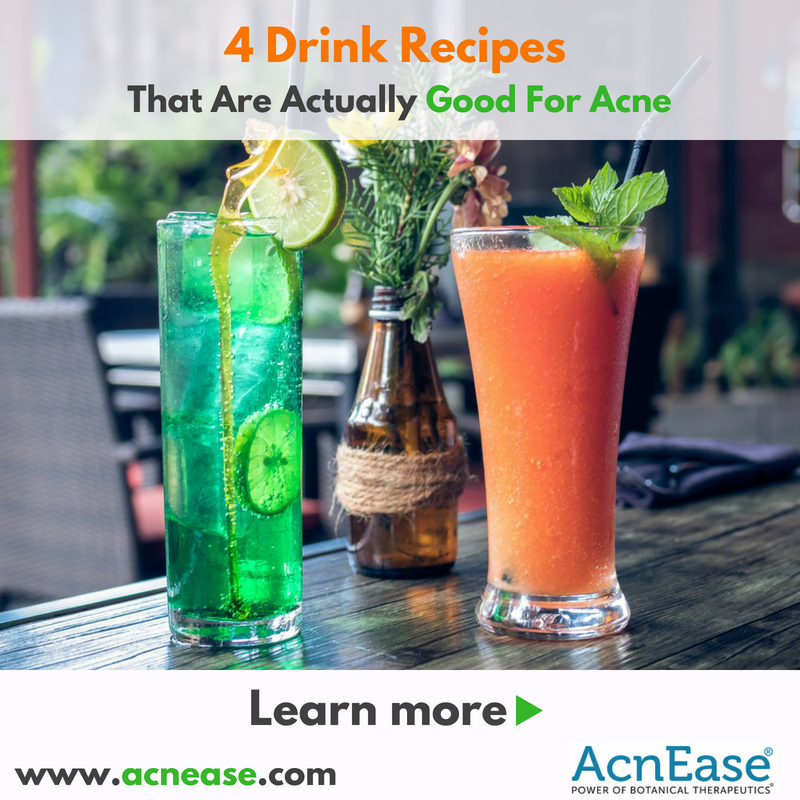 These were some of the recipes devoid of alcohol that can help you improve your acne condition. But, really get rid of your acne, it is highly recommended to try AcnEase which is clinically proven and an FDA compliant and helps you in healing your acne 100% naturally!